What is The Geranium Farm? Who's Who on The Farm? 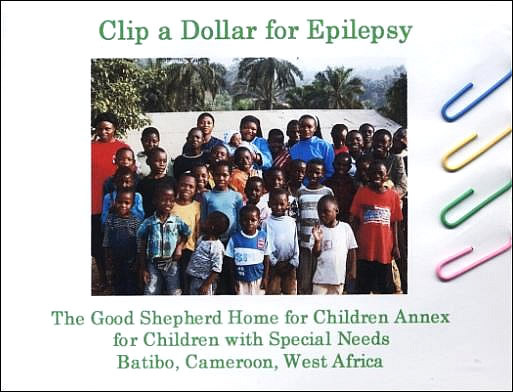 Please join the "Clip a Dollar for Epilepsy" campaign for children with epilepsy of the Good Shepherd Home for Children with Special Needs in Batibo, Cameroon, developed by The Geranium Farm's own Deborah Sharp Loeb. 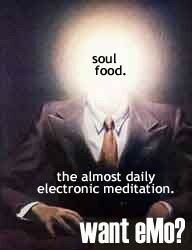 Almost every day, you can receive a brief meditation by Barbara Cawthorne Crafton by e-mail. It is intended to be something to help you start your day with thoughtfulness. Sometimes the eMos are funny and sometimes they're sad. Often, they're both. Want eMos? Check out the Subscribe page and be sure to sign up for them! The Geranium Farm came out of my imagination. It was the faintly wacky alternative to the first place from which the eMos emanated: they were originally known as "The Almost-Daily eMo from St. Clement's-in-the-'Hood." I began to write them in the spring of 2001, as a way to provide my parishioners with a meditation they could use in their daily prayer. They spread quickly. By the time I retired from parish ministry at the beginning of 2002, there were almost 1000 recipients. Today, Farmers number in the tens of thousands, and the eMos are read all over the world. We're all here on the Geranium Farm together. It's productive -- it bears flowers and even fruit. It's ordinary, deceptively so. That's why it's not The Orchid Farm or The Rose Garden. The Geranium Farm isn't really a farm. It isn't even really a place, although Barbara Crafton's purple house is there. And things do grow there. Plants, for sure. But the main thing about the Geranium Farm is people. People relating to God, and to each other, in the best way they know how. Why the Geranium Farm, Genevra writes. They don't smell good. What a thing to say about geraniums. 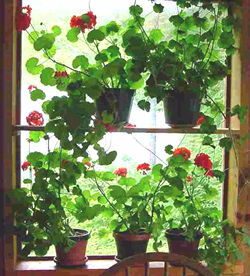 Salt of the earth, geraniums: solid citizens of the plant world, faithful friends of humanity. More than a century of service without a murmur in the windows of countless public schools, growing taller and spindlier than most supermodels from straining for the light, neglected over vacations until somebody tosses an offhanded Dixie cup of water onto their gasping roots. But pinch them down and they set blooms in a day or two, so grateful for the attention that they don't complain about the amputation. Most people should be so stalwart. They don't smell good. They don't smell good? Geraniums smell glorious! They smell of dusty sunlight, of the tangy, spicy energy of life. They eschew the effete sweetness of other flowers, flowers that pander to our indolence. Geraniums smell militantly beautiful, a smell of productivity under extreme circumstances, a smell that says Don't bother about me, I'll be all right. Take care of the weaker ones. Geraniums never whine about insects and fungi. They take care of themselves. You don't have to hover over them like an anxious nurse, begging them to grow, feeding them special treats. Not geraniums. No, no thanks, they say, I just ate, really. Couldn't touch another bite. Now, there are scented geraniums. Geraniums that claim to smell like lemon, like vanilla, like all manner of lovely things. I'm going to explore them. I found a website about them. There's a price list. But the geraniums here at the Geranium Farm aren't the scented ones, for the most part. They are the peppery, solid geraniums of our youth in the public schools, our first jobs in old offices with tall windows where nothing else will grow, of milk cartons filled with potting soil and a little plant to take home on Mother's Day, of cuttings in a glass sending forth white roots in just two days. They are the geraniums of our grandmothers. They, themselves, are grandmothers, some of them: tough and woody of stem, scarred from countless prunings, still sending forth bright blooms, still seeking the light. I like their smell. I also like the smell of marigolds, another tough one, and of chrysanthemums. These are flowers through whom you can smell dirt. And all of us come from the dirt. And all of us are heading back there. Thanks be to God, for giving us a season here under the sun. Reach for it while you can.